In its first month, Season 9 of As RuPaul’s Drag Race has already done quite a bit to assert itself as a standout: Cynthia Lee Fontaine has rejoined the fray, Aja has single-handedly returned Untucked to its drama-driven roots, and big personalities like Valentina and Eureka have polarized audiences. There are so many standout stars that it’s truly anyone’s game. 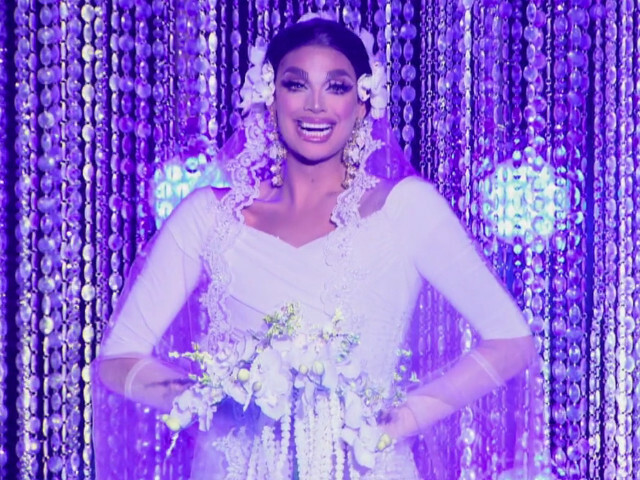 After the the past two cycles (where Bob and Alaska were crowned basically the moment they walked through the door), the unpredictability is a real thrill. 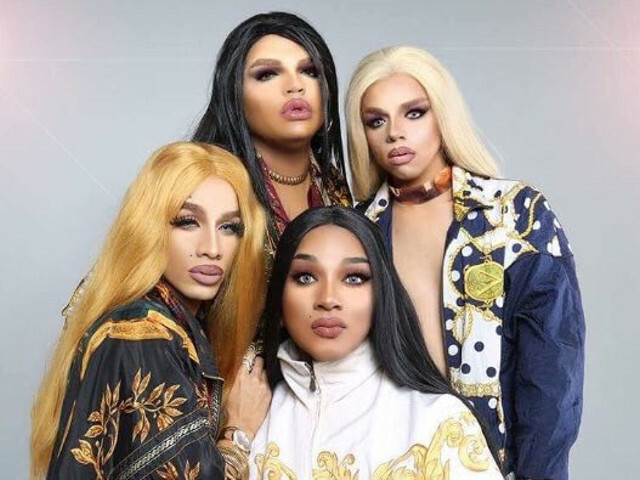 By moving to VH1 on Friday nights, the show picked up a larger and more diverse viewership, giving a whole new crowd the chance to learn the joys of lip syncing, mainstage critiques and innuendo-filled mini-challenges. There are as many ways to watch as there are people watching, but fans can generally be divided into seven categories, listed below. You’ve been watching the show since the first episode and have a frighteningly accurate recollection of every minute detail. You remember who was sent home first each season, you can recite every last name RuPaul ever assigned Stacy Layne Matthews, and you know what happened to Mystique’s baby pictures. Ten years from now, you’ll find yourself referencing Funky Monkey and the Banana Lady Princess and receiving a blank stare in return. Your eulogy will include a RuPaul quote. You have a favorite queen, and your loyalty to her is as fierce as it is permanent. If you aren’t one, you’ve certainly met one: the girl at work who refuses to admit that Tyra Sanchez ever showed a hint of bad attitude, the friend of a friend who became irate whenever Derrick Barry was in the bottom two, or that one bartender who still talks about how Katya shouldn’t have even been on All Stars 2 because she should have won Season 7! It’s already happening this year. I know at least three people who would still fawn over Valentina if she shot Alexis Michelle in the face. When those queens stomp the runway, you have more pointed feedback than RuPaul herself. “Her cheek contour is too low. You can see her pad lines. Wearing your natural brows is so lazy. Couldn’t she have teased that wig more?” You know exactly how you’d play it if you ever got cast on the show, and you’re sure you’d do it better than all the other contestants. But you’ve also never made that audition video because you’ve never actually done drag. Oops. This is your first season of Drag Race, and you’ve got a lot of catching up to do. Every time you watch, you have to lean over to your friends and ask questions. Why is Charisma, Uniqueness, Nerve, and Talent funny? Is “sickening” good or bad? Who’s the bald guy with the glasses who keeps coming into the workroom? It’s ok, we were all beginners once. You’ll catch on. You’re friends with one or more of the queens on this season, and it’s changing the whole experience. They may not have given you a whole cup of tea, but you’ve at least gotten a few tasty drops. Plus, just understanding the personalities involved changes your perception of the show. Your best Judy wouldn’t have said or done what she just said and did on the TV, so this has to be edited, right? Buy her another drink and see if she’ll break that NDA she signed. You’re part Jessica Fletcher, part Miss Cleo. With your eagle eye for detail with your good old-fashioned intuition, you’ve accurately predicted every plot twist. By the time the show’s theme song starts playing, you’re pretty sure who will be lip syncing this week. Friends have asked you to stop talking during commercial breaks because you’re ruining all the surprises. Like the Psychic Detective, you know everything that’s going to happen, but it’s not because of your sixth sense: It’s because you’ve spent the past six months scouring every queen’s social media, picking apart interview transcripts, reading every comment on every message board… basically everything but kidnapping PAs and giving them polygraphs. You keep obsessively updated on all the gossip, speculation, and outright fabrication. Forget rumors: you’ve got receipts. Did we sum you up accurately? Let us know in the comments below, or tag your squirrel friends to let them know where they fall on the spectrum. Chris Kelly performs under the drag name Ariel Italic. You can watch RuPaul’s Drag Race with her every Friday at Brooklyn Bazaar for Nobodies Hosting Drag Race! Well, I might qualify a #1,or a #6. I feel like I know enough that my friends say shut up , Jon, at least every other time I open my mouth. I have head the famous ” NO SPOILERS”. (Which makes no sense ,because this hasn’t ever aired before. )I think knowing less than many experts makes me more of a #6, and it is either because I can do the math, or because I am a little bit psychic. I am not discussing this with Divine in the afterlife, and I only have one female impersonator friend who has passed.However, I don’t get info from spirits. I just know crap before it happens . I scare myself, and gamblers drive me crazy for asking advice about horse races, which I never get right.I am great at Oscar ballots . I told everyone that “Moonlight” would win, and they said “WRONG”! I felt like I was watching next to Donald Trump.OK, I am not telling you…. I’m just going. Love watching the show, soooo funny. I’ll say this, there are some rough looking queens this season. Trinity Taylor is the exception, she looks great in drag but not so much without. But she has got to go. “I call shade!” Really??? girl, you’re one of the biggest shade throwers there is! Ut oh… i’m getting caught up in the drama… hahahaha!! !